Dean Antiques Ltd was established in 1984 by Dean Gipson. Dean, with his innate flair and discerning eye, has built a loyal following for his consistently strong selection of stock. 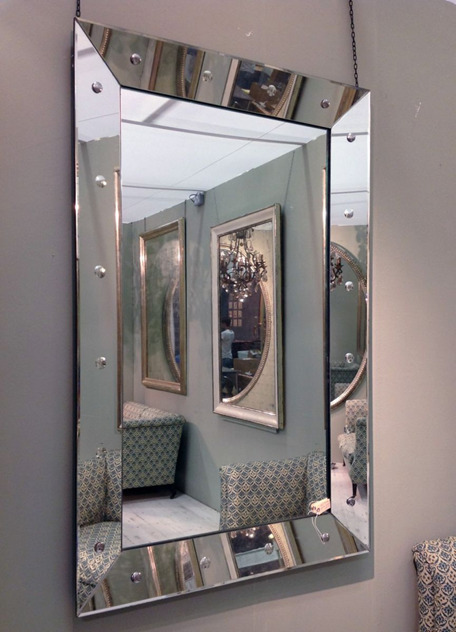 He specializes in mirrors, lighting and has a large selection of upholstery including Howard & Sons. Items can be viewed at his showspace in Tetbury Gloucestershire, which please contact him for more information and to make an appointment to meet with Dean at the showroom should you wish to discuss with him in person a project or to discuss a number of pieces. Late 18th century Italian trumeau mirror.